The only paper you should be buying is recycled paper. One ton of recycled paper saves 17 trees and 7000 gallons of water. Recycle paper will have the green logo printed on the package. You may already be using recycled paper and not even know it! Your office should have recycling bins for paper, plastic and metal like aluminum soda cans. Those bins should be placed in every break room and copy station. All you have to do then is arrange with your building management for proper recycling pickup. On any given day, nearly 700,000 cartridges are tossed out in the trash at offices all around the country. Most of those cartridges can be recycled. Again, the company you by your toner from might already have a recycling program in place. If not, then there are plenty of organizations online that can help with this process. If you haven’t already, then your office should be a coffee mug office as opposed to a Styrofoam cup office. It’s easy to fill up your kitchen with mugs from a thrift store. One rechargeable battery equals one thousand regular batteries in terms of a usable lifespan. Which would you rather by? One battery or thousand? Every year brings new advancements in office equipment technology. 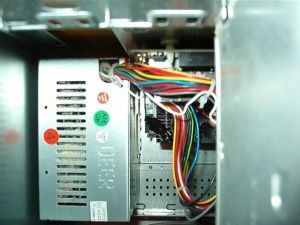 Anytime you upgrade your old office equipment you should consider recycling that e-waste. Don’t put it in storage but instead turn it over to Junk King Boston. These are the eco-friendly junk haulers who know all the certified e-waste recycling centers throughout the area. They’ll make sure your old office equipment gets to the proper final destination. Make Junk King Boston your office recycling partner. This entry was posted in Boston Junk Removal and tagged junk removal, office, recycle on August 27, 2017 by Junk King. Last updated August 27, 2017 .